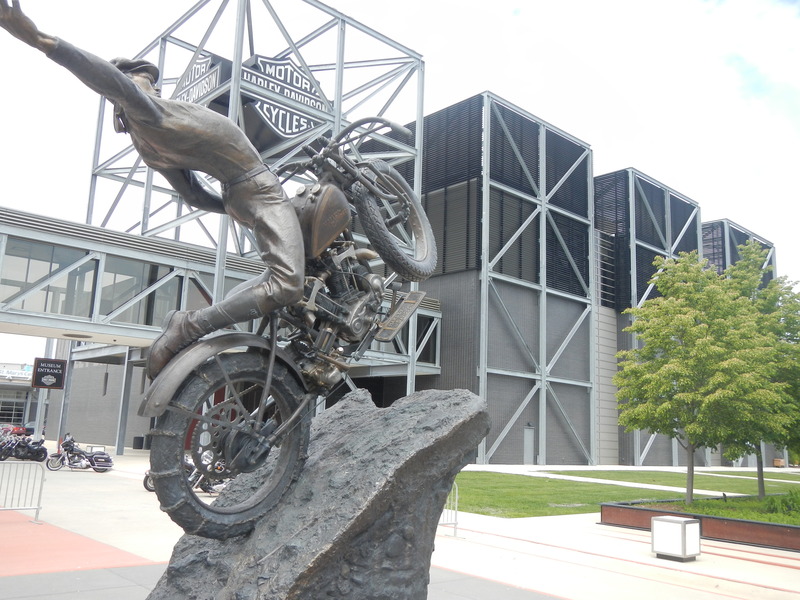 One of the downright coolest things to do in Milwaukee is tour the Harley-Davidson Museum. And this is coming from a guy who is in no way shape or form in the slightest bit a gear head. About the best thing I know about anything mechanical is to take it into a mechanic when it makes some noise other than vroom-vroom. Nonetheless, I had a blast touring the museum and can’t recommend it enough. 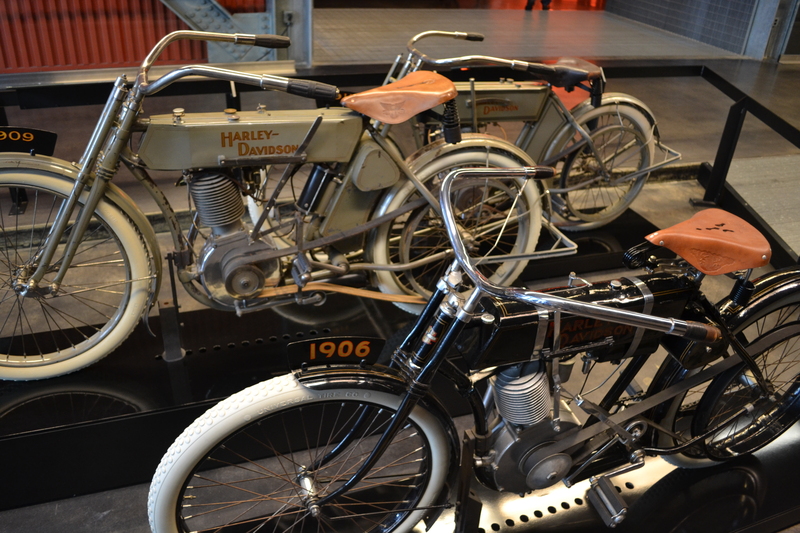 This summer, Milwaukee is the place to be as the 110th anniversary of Harley-Davidson is celebrated. 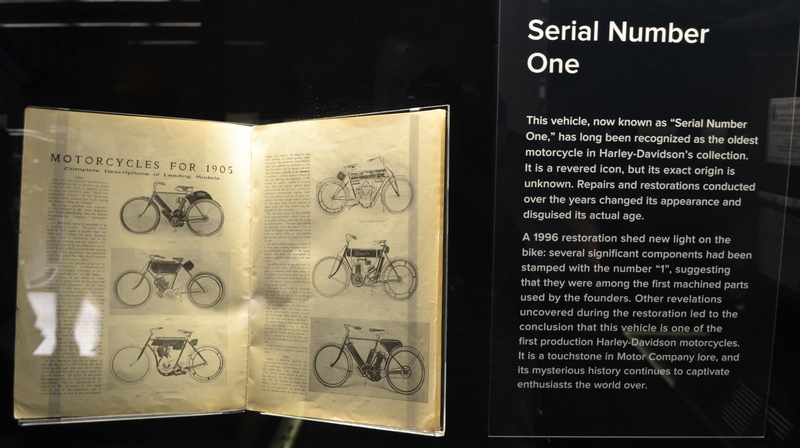 In 1903, in Henry Melk’s Milwaukee machine shop, William S. Harley and the Davidson brothers designed, built, and tested their first motor-bicycle. Now, after surviving a series of ups and downs, including the Great Depression, WWII, the Cold War, economic problems in the 1970s and 80s, and more, one of the world’s biggest parties is about to be held in Milwaukee, WI. 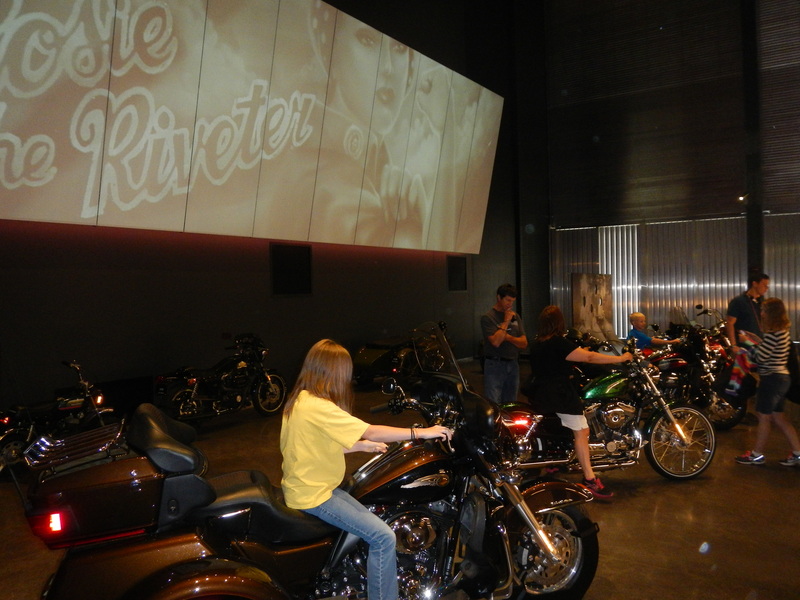 Even thinking about attending the party – riding in on the back of a Harley-Davidson motorcycle or not – is out of the question if you don’t actually celebrate the American icon’s history by checking out the museum. 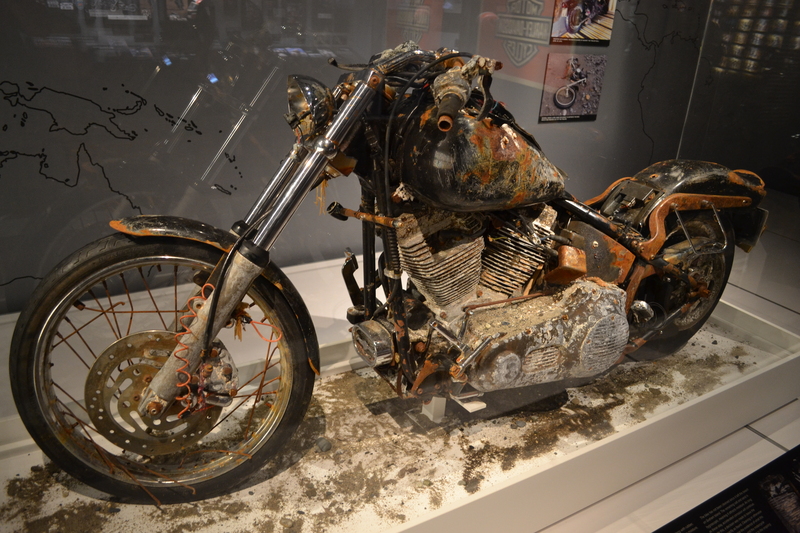 It’s definitely worth the stop, if for nothing else to see all of the amazing bikes, tank art, and historical items. The highlight for me? Gawking at the Japanese-owned Harley-Davidson motorcycle that washed up on Canadian shores in April, 2012 after being swept out to sea during the March, 2011 tsunami. I couldn’t stop staring at the thing. 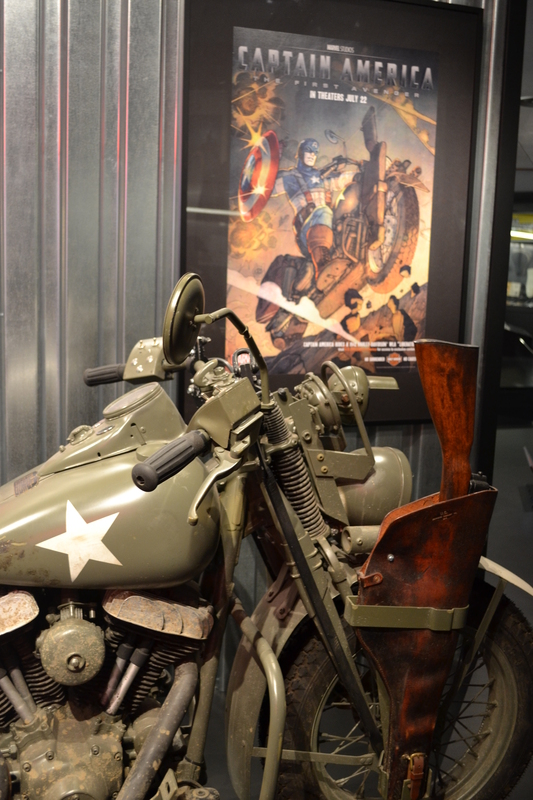 And that’s after seeing all kinds of amazing bikes – whether they were early models, ones actually used in WWII, or bikes only pretend-used in WWII on the set of the movie Captain America. They were all fantastic, and it didn’t matter if I understood V-Twin this or Opposed Twin that; cool is cool. 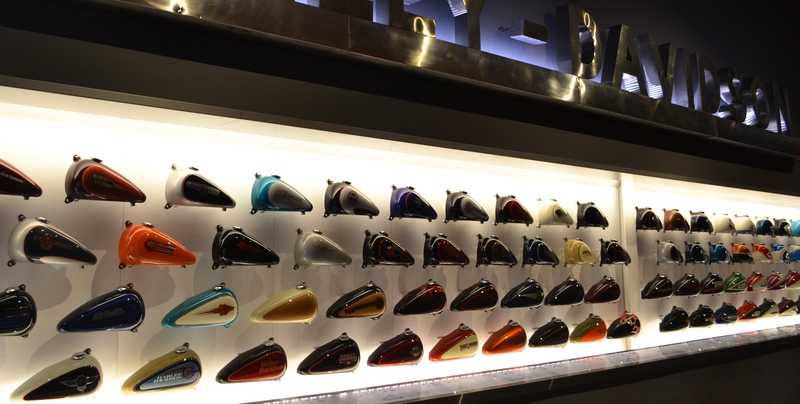 I know it when I see it, and I saw a great plenty of it at Milwaukee’s Harley-Davidson Museum while on my Visit Milwaukee trip. There was only thing, though, that could truly come close to the tsunami motorcycle. “Serial Number One.” Yep. You guessed it. 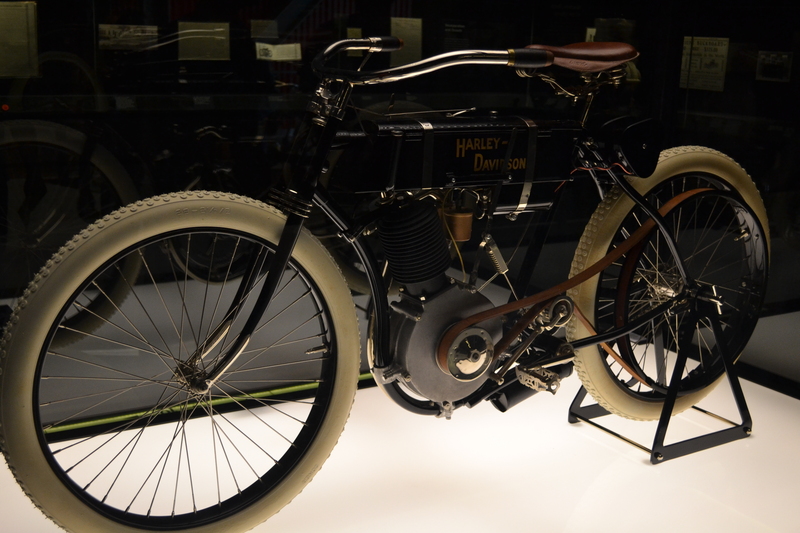 The first motorcycle produced by Harley-Davidson. By today’s standards, the thing was wimpy. But looking at it, thinking how an icon grew from that one bike, and imagining all of the history surrounding it, really made me stop and say, “wow.” I was impressed. Is it a good family stop? Two more words: You bet’cha! There are a ton of hands on things for kids to do. 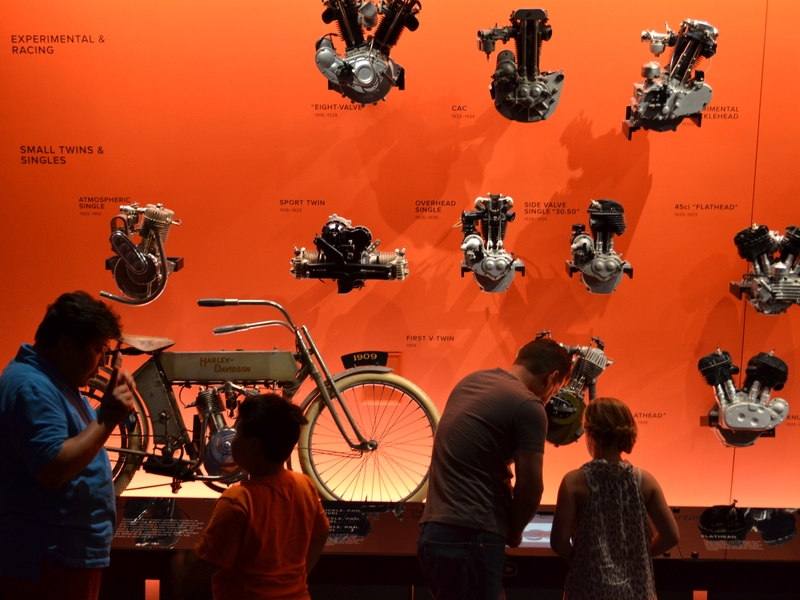 They can learn how motorcycle engines are built, create some drawings, or – and this is awesome for even the biggest of kids, like myself – sit on the seat of one of several bikes on display, or even kickstart one outside. It was all great fun, and perfect for little and big kids alike. Can’t make Harley-Davidson’s 110th anniversary party this summer? Not to worry. The museum will still be there. And all on its own, it’s worth the trip to Milwaukee to see. I scoffed at it at first blush, thinking it wouldn’t be anything special – just a bunch of motorcycles on display – but it’s so much more, with all of the history mixed into it and how the Harley-Davidson company has fit into the fabric of American society since its creation. I am not much of a mechanical dude either, but the motorcycle washed ashore to Canada is an amazing piece. Very sad too because most likely the owner came to a bad end unless he was luckily away from home when it happened. This just adds to the mystery of the piece. Funny addition to the story – he was located, is okay, and told the company to keep the bike. I don’t exactly recall, but I’m pretty sure they sent him a replacement free of charge.